I am back from San Francisco and working on catching up on sleep and re-stocking the fridge and getting ready to be out of town the next two weekends and TRYING TO REMEMBER TO BREATHE! Here we are. Also grateful for this butter chicken soup, a jar of which I (smartly) hid in the freezer for moments like this when I have no time to make dinner. Whew! 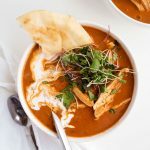 This recipe is basically a dairy-free (*if you use ghee instead of butter), soup version of my Indian Butter Chicken recipe — which is, to this day, still one of the top two most-visited recipes on The Kitchen Paper. (paprika chicken and spinach with white wine thyme butter sauce is the other!) 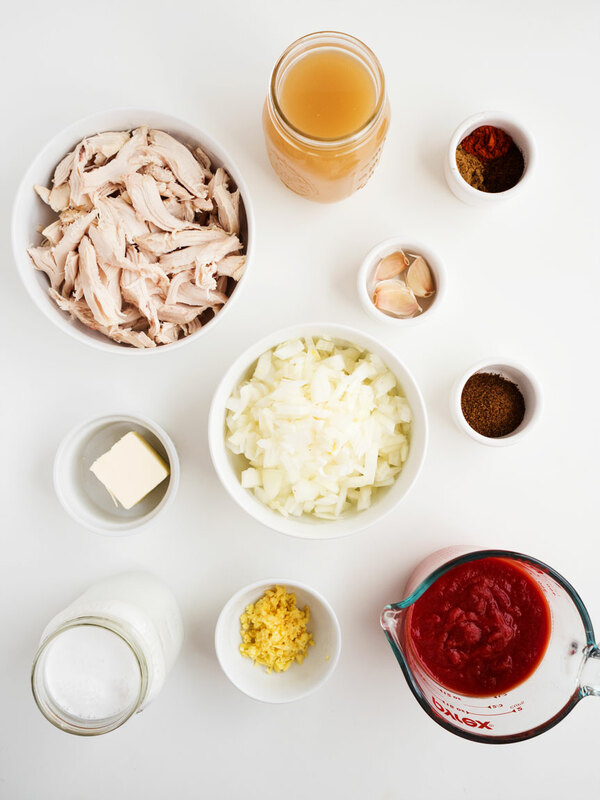 This comes together super quickly, especially if you already have shredded chicken (or buy a rotisserie chicken from the store and pick off the meat!). I used more of my favorite (Pacific Foods) organic tomato sauce, like I did in the spring vegetable red curry a few weeks back! 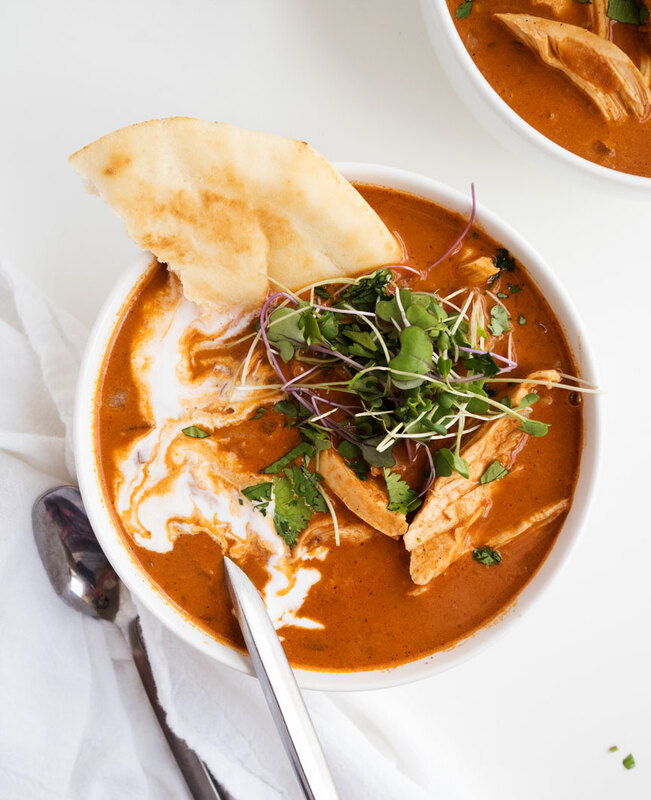 Serve this soup alongside naan (regular or yeastless!) and/or rice, along with some lime and cilantro for garnishing. 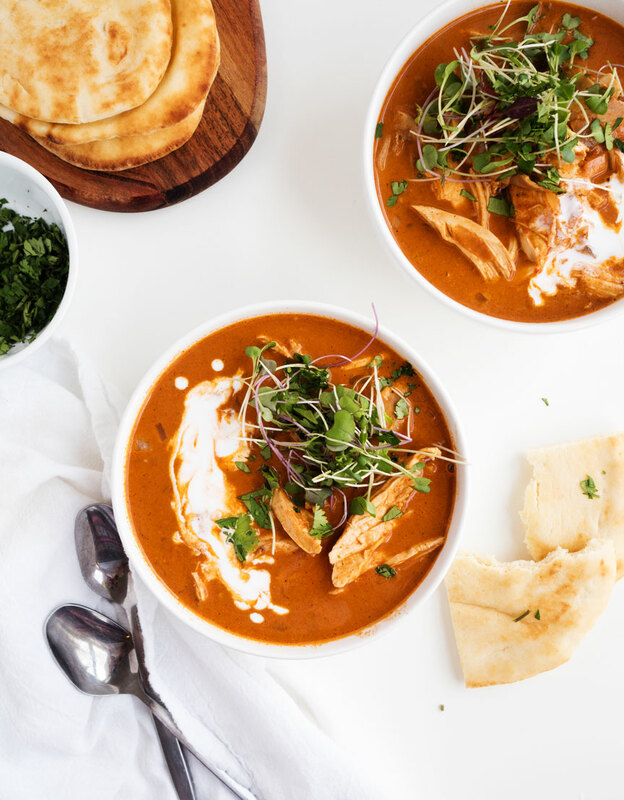 This soup version of Indian Butter Chicken is a family favorite and quick to throw together! It’s easily dairy-free, full of flavor, and easily frozen for future meals. In a large stockpot over medium-high heat, melt the butter. 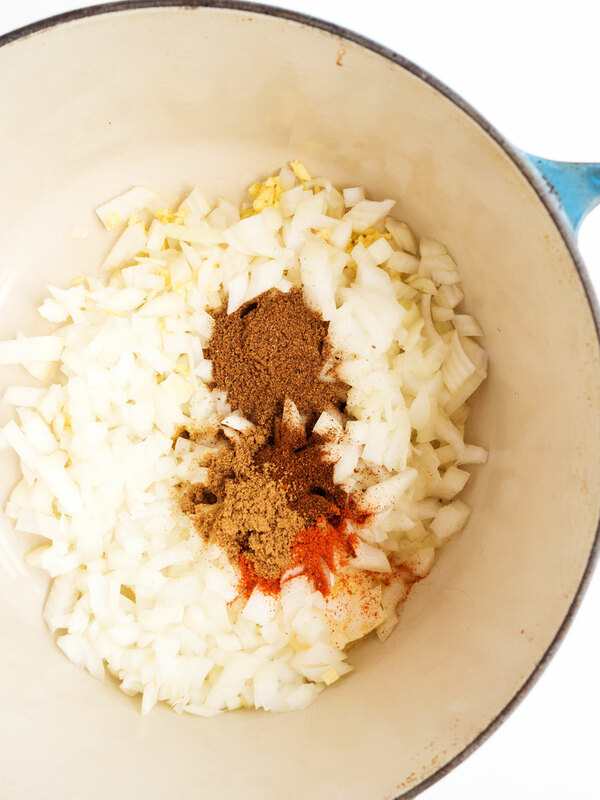 Add the onion and cook for a minute before adding the garlic, garam masala, ginger, chili, cumin, and cayenne. Continue to cook, scraping the bottom of the pan constantly. After 3-4 minutes, add the tomato sauce while vigorously scraping the bottom of the pan to deglaze any stuck spices. Cook for 3 minutes, then add the coconut milk and broth. 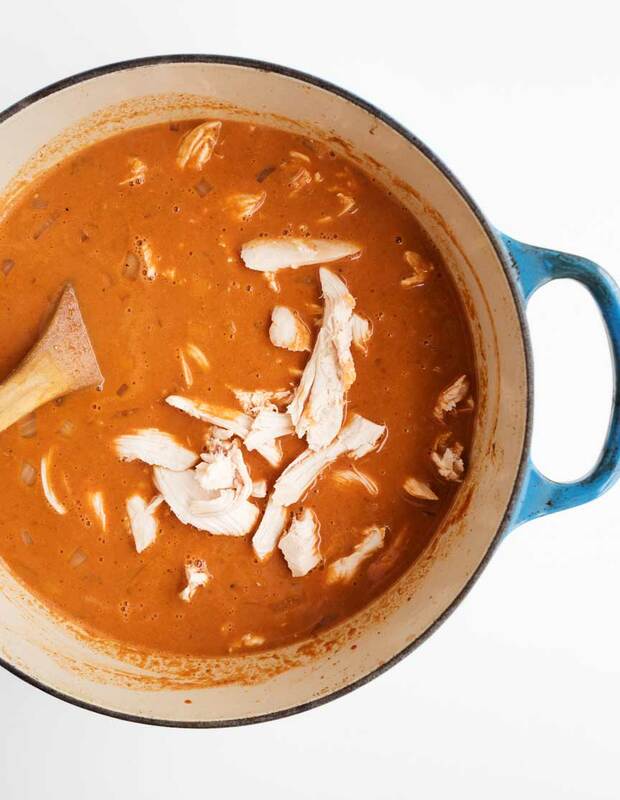 Bring to a simmer and cook for 10 minutes, then add the shredded chicken. Bring to a simmer and cook until the chicken is warmed through. 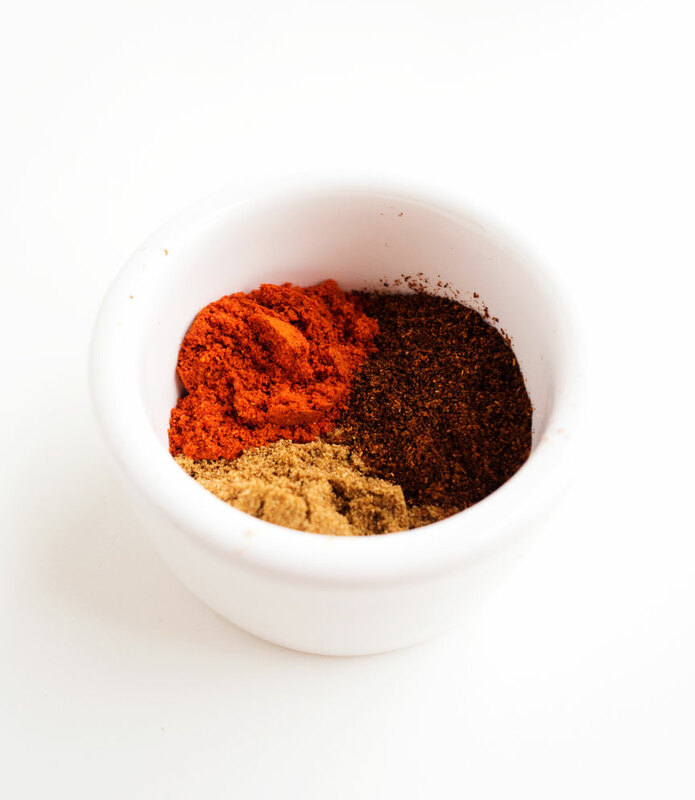 Season with salt and pepper to taste, and serve warm with lime, cilantro, naan and/or rice.